Namibia reported the first case of listeriosis after a patient was admitted to hospital with the disease in the capital, Windhoek, this week. Last week Namibia suspended imports of processed meat from South Africa, where 183 people have died and 1,000 people have been infected in the world’s biggest listeriosis outbreak. "A man was admitted to the Roman Catholic Hospital in Windhoek early this week after he was diagnosed with listeriosis," Namibian health minister Bernard Haufiku told legislators on Tuesday. The patient allegedly ate a hot dog-style sausage bought from a butchery in Tsumeb, some 430 km from Windhoek. The Health Ministry is still monitoring the situation, Haufiku said. Banned processed meat products that are sold as ready-to-eat" after listeria outbreak. Namibia is a net importer of processed meat products from South Africa. Namibia was one of the first four countries in Southern Africa to take steps against South African chilled meat imports after the outbreak of listeria was announced a few weeks ago. 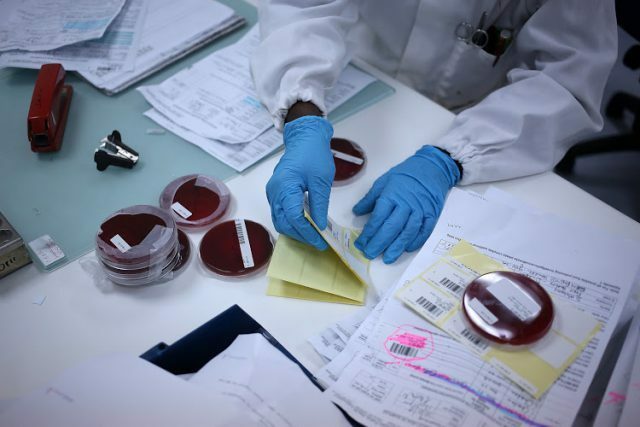 The World Health Organisation (WHO) said South Africa's listeria outbreak, claimed nearly 750 confirmed cases, and it believed to be the largest-ever. "We were already prepared as a country when we heard there was a break out in South Africa," Haufiku was quoted as saying. Listeriosis is a disease caused by bacteria from soil, water, vegetation and animal faeces which can contaminate fresh food, notably meat. Listeria monocytogenes is a food-borne pathogen that can cause listeriosis, an invasive infection in humans with a fatality rate about 20-30%. There are several research on various biotechnological approaches such as biomarker for the control of these variant microbials. The pathogen — listeria monocytogenes causes the deadly disease in nature and uses food as a vehicle to invade the human body. Once it enters the body it "switches gears" and becomes lethal, causing symptoms such as nausea and diarrhoea — and even death. As with many other food-borne pathogens, listeria can co-exist with other micro-organisms in water and soil ecosystems or on plants. The bacteria can survive even under stressful conditions, such as refrigeration. It can proliferate even when other micro-organisms die off. The fact that there is no central authority or co-ordinated framework is problematic as it means there is no proper medical inspection or a central point "one-stop shop" that deals with all imports, exports to filter the markets and protect consumers. A central authority would shorten the time frame between the initial outbreak, identifying the source and allow enough time for product to be recall from the batch line. If the country has a functionable public health commission could also control imports and prevent illegal dumping and movements of counterfeit goods more effectively. It would mean that technical experts in food science, food microbiology, biotechnology, plant pathology and etc, could be used more effectively to benefit a national food safety framework. At the moment, most commercial companies in South Africa that involved in food production and processing, particularly those who export to other countries like Namibia, have to go through expensive certification, and this make people to doze and many companies do their own self-regulatory check to obtain a certification. The challenge is that the African countries like South Africa which is the main business hub for Southern African Customs Union (SACU) as well as Southern African Development community (SADC) has a serious shortage of competent auditors/inspectors and local certification bodies. Another problem is that when there are threats of a food-borne disease, the government, industry and academia work in silos and don’t share knowledge or technologies that could benefit the whole country. In addition to a centralised food safety authority, there have also been suggestions that the agricultural and food legislative framework should be revised and the fragmented and outdated regulations be amended or new legislation promulgated. Lastly, certification bodies responsible for certifying food safety management systems and test laboratories must re-assess their role in supporting an effective food safety system. The government should consider establishing a national food safety authority or health commission that will be responsible for the supervision and filtrating all imports coming in the country. Effective monitoring platforms are very important for screening purposes. The emphasis should be on continually improving food safety management systems in the whole country. The South African medical experts such as biotechnologists and microbiologists have suggested the same idea in their country over the past 10 years, but none has gained traction.